The United States is the most prominent country that entices a number of overseas nationals. US tourism is the largest industry that serves a millions of overseas and domestic travelers ever year. People of foreign countries need to apply for US tourist visa to enter and reside in the country for a certain period of time. US comprise natural wonders, historic landmarks, cities, and entertainment venues, which tempts worldwide travelers to visit US by applying US tourist visa. Tourist visa for USA enables overseas nationals to visit and reside in USA either for sightseeing or visiting friends or family members. Tourist visa for USA is issued for a maximum period of 10 years based on the applicants’ intent, documentation and profile. Travelers are not allowed to work in US on US tourist visa. Individuals of overseas nationals who wish to travel to US for a certain period of time need to apply for US tourist visa. However, applicants need to meet the below eligibility criteria in prior to applying for a USA Tourist visa or . Enough finance to support themselves and their family members during their stay in the US on USA Tourist visa. Invitation letter must be provided if applicants intend to stay along with their friends or family members. 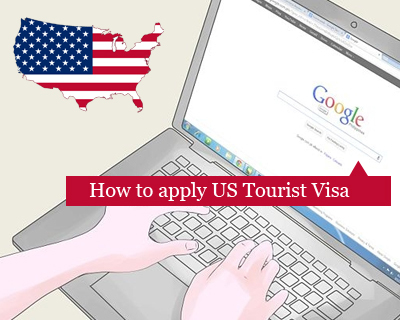 Individuals who fulfill the required eligibility criteria can apply for US tourist visa. Overseas nationals with a valid passport must fill the application form carefully with all the relevant details and submit the application form, pay the fee and must attend for the US tourist visa interview at the nearby US consulate in the respective country. After the successful completion of visa interview US tourist visa will be granted to the applicant. Apply for USA Tourist Visa please fill out MoreVisas Enquiry Form and follow us @ Facebook, Google+, and LinkedIn. ← How to get Hong Kong Work Permit ?